Sledgehammer Games’ latest contribution to Activision’s legendary first-person shooter Call of Duty franchise has already gone viral. Call of Duty: Advanced Warfare is undoubtedly the next Call of Duty title that will arrive later this year. Information chamber has been flooded with new media content and details about the game, coming from both official and unofficial sources. Right now, it looks like a toss-up between the game being something really value-added or just another same Call of Duty title with shining surface. All the media content and details about Call of Duty: Advanced Warfare that have surfaced in past few days illustrate an image of a highly improved and enhanced Call of Duty title. Up until now, we know that Activision’s highly anticipated FPS will be set in 2054, hence obviously, that game will feature advanced war mechanics and futuristic weaponry and war toys, Kevin Spacey will play role in the game, the game is a cross-gen and it is coming later this year in November. Enough has been told about story and setting of the game for now. The developer has released a trailer that has been taken from Xbox One version of the game. The trailer brings forward some first looks of the game and while it is from Xbox One version, it apparently suggests that possibly, there is some exclusivity deal between Activision and Microsoft. That is not all, according to a report, the trailer also hints towards resolution of the game on Xbox one. Many people are questioning about the performance of the game on PlayStation 4 and Xbox One consoles. Considering the ongoing situation, the first question that comes to mind about performance of Call of Duty: Advanced Warfare is that will it be drifted by resolution-gate issue like most other next-gen games. 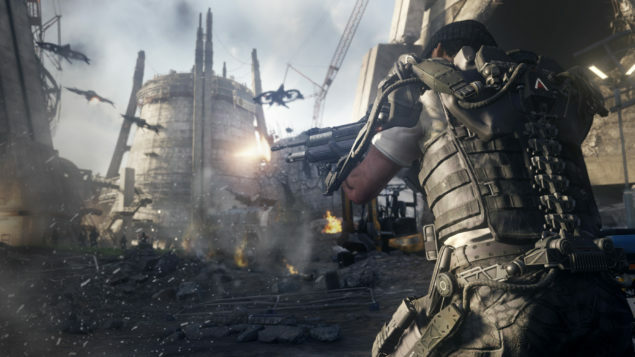 Well judging from the first Xbox One trailer of the game, Call of Duty: Advanced Warfare shows significant resolution improvement over Call of Duty: Ghosts on Microsoft’s next-gen console. Recently, DigitalFoundry ran some kind of a resolution test on full high-quality version of the Call of Duty: Advanced Warfare Xbox One trailer, and the results that came out were not bad. In fact, the test shows that Sledgehammer’s new shooter have much better visuals than Infinity Ward’s Call of Duty: Ghosts. Managing to extract more performance and power from Microsoft’s latest video game hardware, Sledgehammer has put a lot more effort in creating a visually improved Call of Duty title. 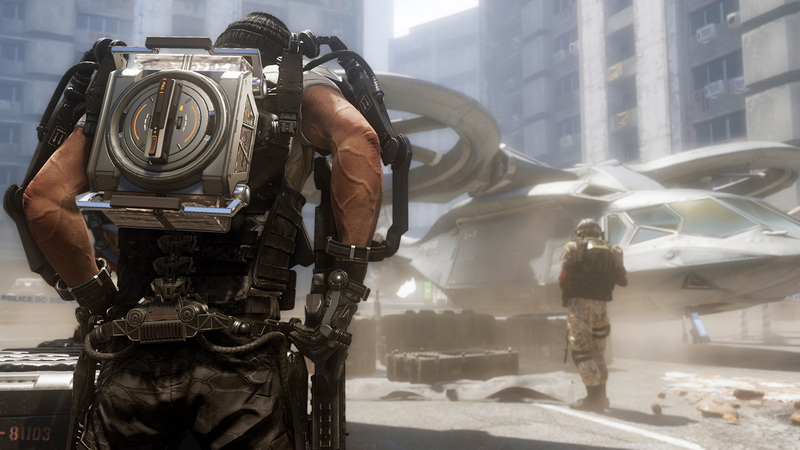 The test shows that Call of Duty: Advanced Warfare’s resolution on Xbox One has been increased to something near 900p. The test, performed on high-quality version of the trailer, runs near 1568×882 resolution, showing considerable improvements. However, to clear it out, the test do not, in any way, presents or claims this resolution to be the final product from the developer. The original resolution of the game on Xbox One will only be determined through official announcement. “We’ll update should more media becoming available, but we’ll go with a ballpark 1568×882 for now. The game gives the impression of a 900p title with post-process anti-aliasing, but the framebuffer appears to be slightly lower than that, representing a 50 per cent boost in overall resolution compared to Ghosts, but only 67 per cent of the pixel density of a full 1080p presentation,” DigitalFoundry writes. Call of Duty: Advanced Warfare’s official website confirmed that Sledgehammer Games is putting all its efforts in the development of the game for next-gen consoles and PC. This means the game will be much more optimized on PC, PlayStation 4 and Xbox One that Call of Duty: Ghosts. Keeping that and Sledgehammer’s abilities in mind, a native 1080p resolution for Xbox One version of the game is not something out of question. Although, 60fps is surely the first priority of the development team. Call of Duty: Advanced Warfare has just been announced and these are very first details, so there is a lot more to come in the coming months. Expect large discussions on frame rate and resolution of the game across next-gen platforms, and stay tuned if you like to keep yourself up-to-date with Call of Duty news. 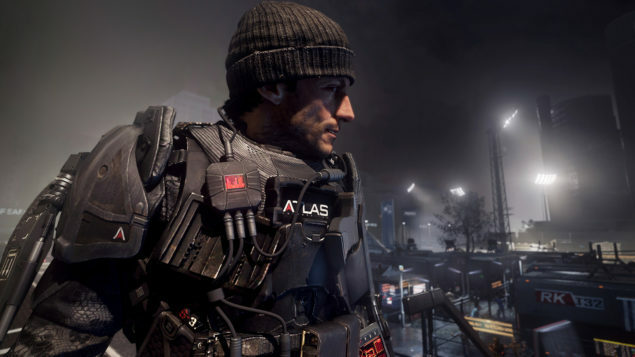 Call of Duty Advanced Warfare will hit local shelves on November 4, 2014 for Microsoft Windows, PlayStation 4, PlayStation 3, Xbox One and Xbox 360. What do you think about Call of Duty: Advanced Warfare’s resolution and frame rate on Xbox One? Share your thoughts in the comments section below.